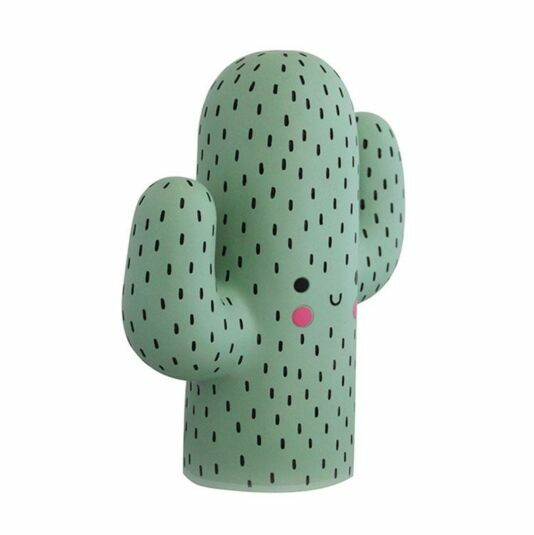 Add a cute and friendly touch to your home with this Kawaii inspired Cactus shaped mini lamp from Disaster Designs. 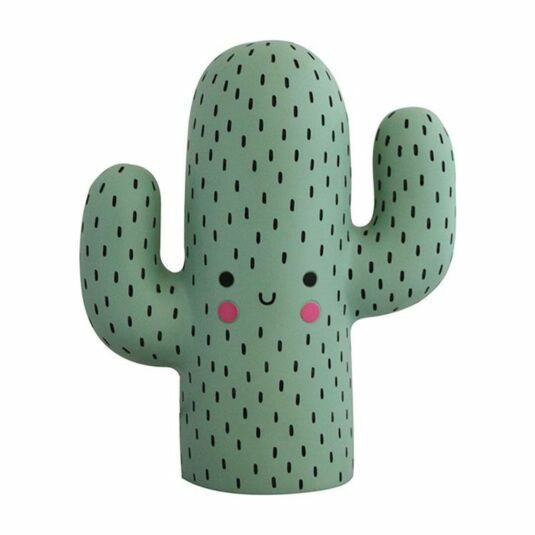 The green cactus has a friendly smiling face with rosy ‘cheeks’ and two branches raised like arms. 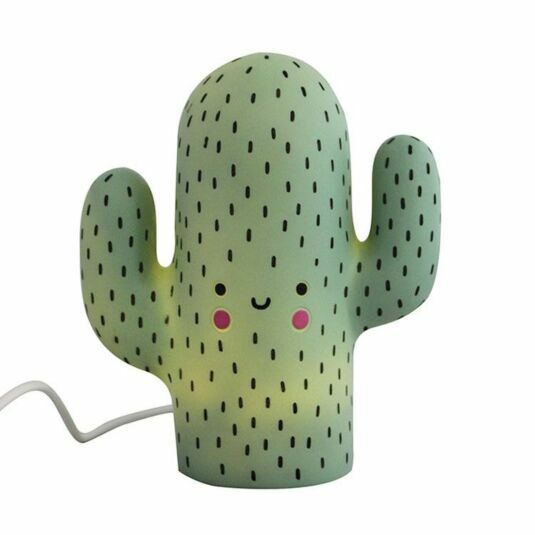 With an irresistible personality, it gives the room a focal point, whether switched on and softly glowing or switched off as an ornament. 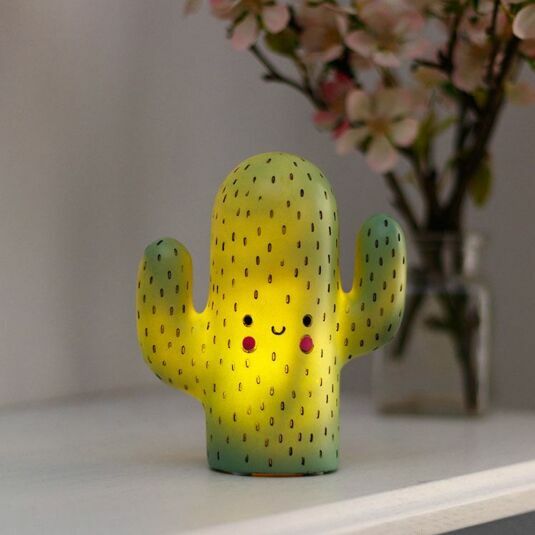 This unique light adds an original touch to a room and makes a friendly night light in a child’s bedroom or an interesting soft light for a teenage bedroom. 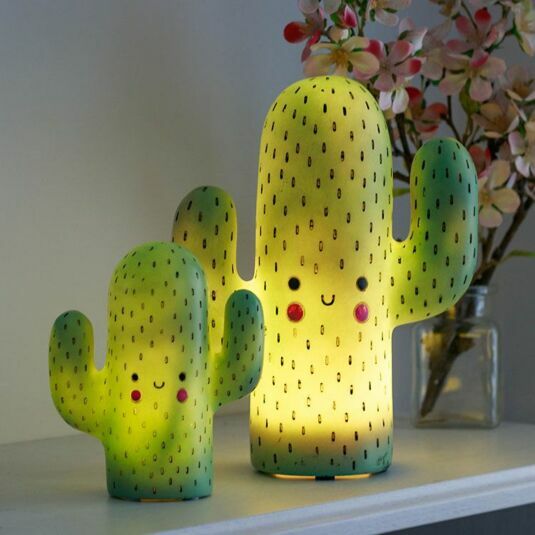 The cute lamp is made from translucent green polyresin which allows the inner glow of the bulb to softly shine through. It has a LED bulb and is both USB and battery powered (batteries supplied). 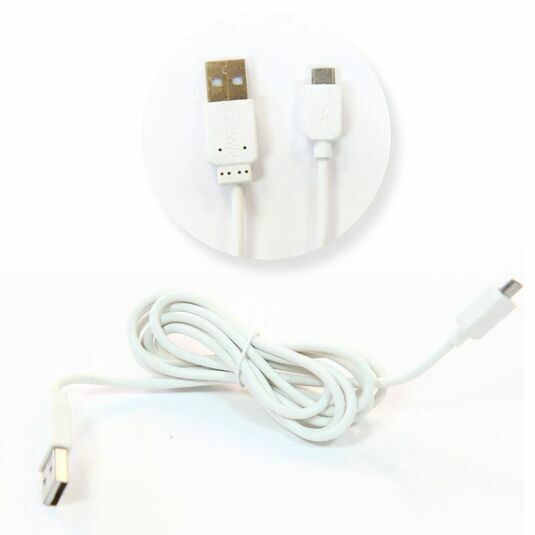 As it does not require a plug, it could also be used on a patio or deck to illuminate a summer’s evening, although it is not intended to be left outdoors. An original gift for a new home, birthday or Christmas! Box dimensions: 12cm w x 14cm h x 7 cm d.
Requires 3 x LR44 batteries (supplied). 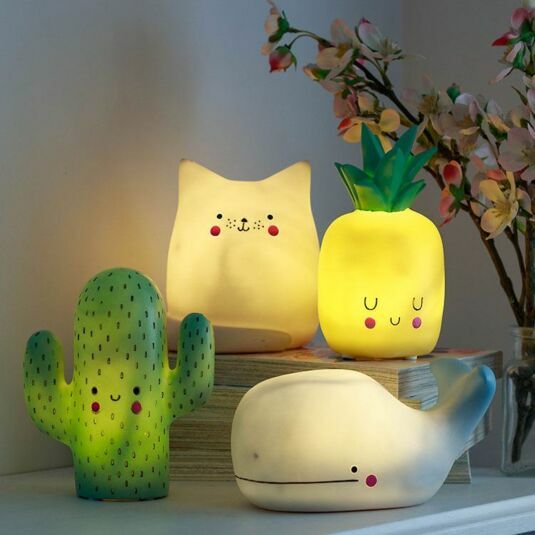 These adorable lamps are inspired by Japanese pop culture. The word ‘Kawaii’ in Japanese means cute or beautiful, and can be used to describe animals or people. However, it is mostly used for the mascots and cute cartoon characters which are popular not only in Japan, but worldwide. Characters such as Hello Kitty, Miffy and Pikachu from the Pokémon cartoons are some of the most famous examples. Bright colours, large eyes and a childlike appearance characterize these creatures, which have friendly personalities and are intended to make life more fun! With over 20 years of textile design experience, House of Disaster (also known as Disaster Designs) never fail to come up with new, funky and simply gorgeous bags, fashion and household accessories. 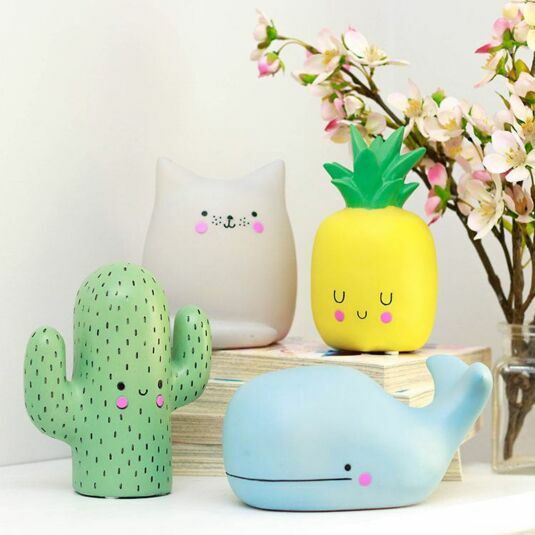 Born in the summer of ’89 in a haze of tie dye and a tangle of dream catchers, Disaster has reinvented itself through the trends and fads of the last 20 plus years, defining itself always as an original purveyor of quirky and unusual things. Always true to the current trends and fashion must-haves, each collection from Disaster Designs is unique, decorative and aimed at stressing one's individuality. With designs ranging from vintage inspirations, through timeless elegance to the totally funky, you are sure to find something you'll love to show off on any occasion.